From our best selling range of pens this ever popular coloured barrel ballpen has unique and vibrant range of barrel colours and soft black rubberised grip. 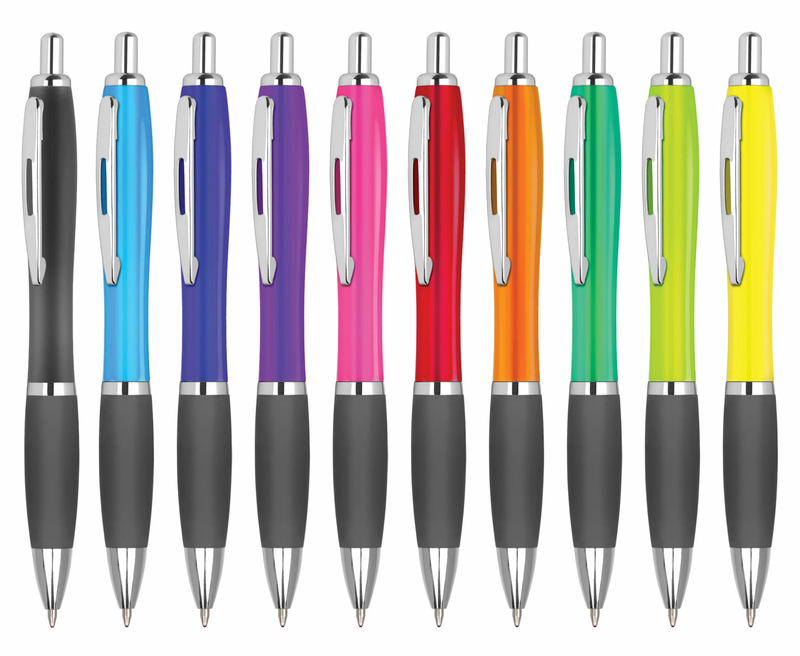 It offers a sculptured, solid colour body, chrome trim at a very low price point, making it the ideal promotional advertising pen suitable for all campaigns. These printed ballpoint pens are now available with an extended print area to carry your personalised corporate message or logo. This pen is also available on a 3-5 day express service, for those last minute event deadlines.